A Notice of Deficiency is also known as a 90-Day Letter. Sometimes it's called a "ticket to the Tax Court." It is the last letter that the IRS must send to all taxpayers in income and estate tax cases before the IRS can begin collecting the tax. Once the Notice of Deficiency is sent, you have 90 days to file a Petition with the United States Tax Court. That's why it's called a 90-Day Letter! If you file a Petition, then in virtually all cases, the IRS may not collect any money from you until you have had a chance to have a Tax Court judge hear your case or you have agreed with the IRS on the amount you owe. Failing to file a Petition with the Tax Court will result in the loss of very important rights and is almost always a bad idea. Non-lawyers such as CPAs and Enrolled Agents need to be very careful about advising their clients NOT to file a Petition with the Tax Court because an incorrect call could wind up result in a malpractice suit. A petition should always be filed if there is any dispute that the taxes set forth in the Notice of Deficiency are not correct. You can always concede your case later if you become convinced that the IRS was correct when it issued its Notice of Deficiency. If you don't file a Petition and you later decide that you disagree with the IRS' numbers, you will be unable to have a judge hear your case until you first pay the entire amount of the tax that the IRS claims to be due even if the IRS is clearly wrong. You will then have to file a claim for refund - usually on a Form 1040X, 1120X, or sometimes on IRS Form 843. Once you have filed the claim, you sill won't have a chance to get to court until the IRS has denied your claim or six months has passed from the date you filed your claim. Even then you will be limited to the arguments that you raise in your claim. Just because you file a Petition with the Tax Court doesn't necessarily mean that you will have to go to trial and have your case heard by a Tax Court judge. The first thing that will happen after you file your Petition with the Tax Court is the IRS will file an Answer. The IRS has 60 days to file its Answer with the Court. You will be served (mailed) a copy of the Answer that the IRS has filed with the Tax Court. Usually, the Internal Revenue Service's Answer is not terribly illuminating about its position in your case. The Answer will usually deny the vast majority of the statements you set forth in your Petition other than your name and address. However, if the IRS has any new issues to raise, it must do so in its answer. If the new issues are not raised in the Answer, the IRS must get the permission of the Tax Court to raise them later. If the IRS believes that you committed tax fraud when you filed your tax return, the Anwer will lay out all of the facts on which the Internal Revenue Service bases its allegation. You will then have an opportunity to file a Reply to the Answer. After the IRS has filed its Answer and, if necessary, you have filed a Reply, you will be contacted by the IRS' Appeals Office to give you an opportunity to settle your case. The IRS Appeals Office is a good place to try and settle your case. A settlement can sometimes mean a full concession by the IRS. ON the other hand, the IRS Appeals Office may not be willing to budge. A settlement with the IRS' Appeals Office is unlike a settlement with a private party. The Appeals Officer assigned to your case will only settle if he or she is convinced that the IRS has "hazards of litigation." That is, the IRS will only settle if it believes that there is uncertainty about the admissibility of certain evidence, or about the court's factual findings, or its interpretation of the law. The Appeals Office will not settle just for the sake of getting paid more quickly because it might be expensive for the IRS to litigate its case, because it might be "fair or equitable," or because you can't afford to pay the tax. If you receive a Notice of Deficiency, you should immediately contact a tax litigation lawyer since a CPA or an Enrolled Agent cannot file a Petition for you in Tax Court unless they have passed a special exam given by the Tax Court. 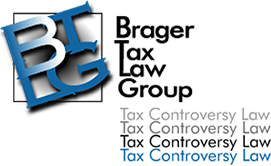 According to one source, only 202 non-attorneys have been admitted to practice before the Tax Court since 1943.